About Us | Crowes Cabinets, Inc. 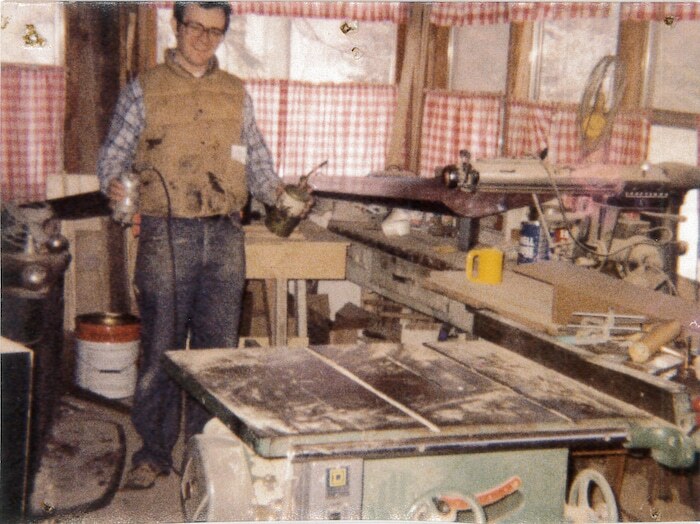 It all started in 1978 in the Crowe family’s enclosed porch, with an old table saw, a few other tools, and Paul Crowe’s determination to make a go of it. More than 40 years later, under a second generation of family leadership, Crowe’s Cabinets has established itself as a regional leader in quality custom cabinetry and casework for residential and commercial projects of every size. Crowe’s Cabinets founded on the front porch of the Crowe home with a table saw, radial arm saw, a few other tools, and sheer determination. Paul’s wife, Robbie, takes on bookkeeping duties. Together, as they grow their family, they also grow a business dedicated to quality, creativity, and timely delivery. A 1,500 square-foot pole barn built in the Crowes’ back yard becomes the first dedicated facility for Crowe’s Cabinets. The first employee is hired. After a decade of working solely on residential jobs, Crowe’s Cabinets lands its first commercial contracts. Moving into the commercial market meant more space and better equipment became necessary. The pole barn was doubled in size and additional equipment, including an edgebander and sliding table saw are purchased. Within two years Crowe’s Cabinets moves out of the residential market and focused almost exclusively on commercial projects. The first CNC router, a larger edgebander, and other more advanced machinery is acquired and the pole barn is doubled in size once again, bringing the total space to more than 6,000 square feet. Automated production software is integrated into the manufacturing process; design-to-delivery capabilities are added. Due to increased need for space for light manufacturing and warehousing, a second facility is opened in nearby New Bedford, Pennsylvania. Additional machining and quality control manufacturing equipment is added to the main plant. Begins to work again with residential builders, remodelers, and contractors, helping them to implement creative cabinet and countertop solutions through our Residential Design Specialist. After 32 years on the Crowe family property, Crowe’s Cabinets moves to an entirely new facility in an industrial park. The new plant is more than twice the size of the previous available space, and enables the upgrade of old equipment as well as the purchase of new, long-needed manufacturing machinery. Our whole team stands ready and eager to make your dreams a reality. I started working in the business when I was 9 years old and have been here ever since. I love taking raw materials and making them into something special. I have turned this love into 30 years of experience in home, kitchen, and bath design, helping people make their houses into homes. I’ve worked in interior and kitchen design for over a decade. Crowe’s Cabinets has a family atmosphere and it really shows in how they treat all the people that work here—and, more importantly, our clients. I have been with Crowe’s Cabinets since 2012. I believe if you look around you will find many people with longevity here—there’s a reason for that.